Put them in a stainer and mix with a table spoon of salt leave for 3 hrs. 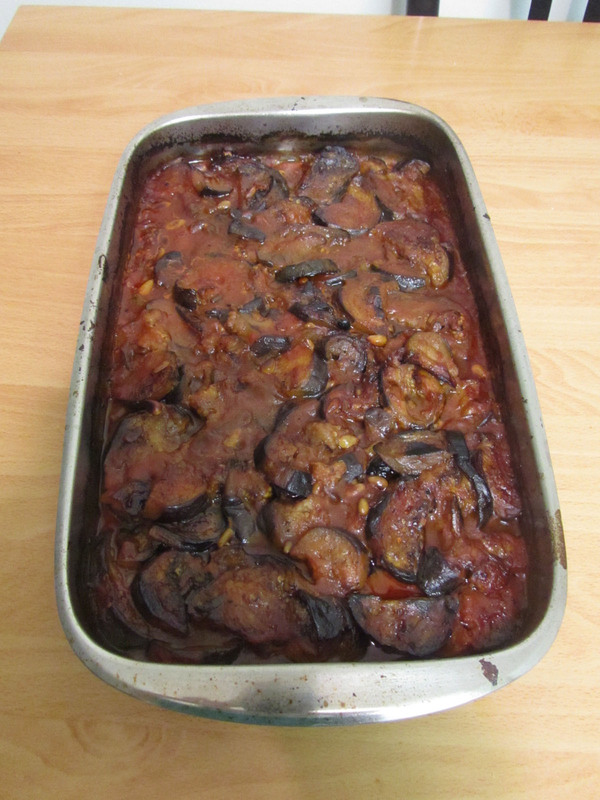 Fry the eggplant in oil till turn to brown color. In a saucepan melt the butter over medium heat, add the onion garlic and the beef. Cook for 10min stirring to break up the meat. Then add the crushed tomato, salt and pepper. Bring to boil for 10min. Put in layer the fried eggplant the meat-tomato mixture. Cover top with the remaining meat-tomato mixture. Bake for about 45min (at 375°). Put some oil in a pot and fry the onion. Add 1 cup of water to boil then add the black lentils. Leave it till medium cook then add 1cup of water and the rice. Add some salt. Sitr and leave it to cook for about 30 minutes. Fry the chopped onion in the oil add the garlic tomatoes and pepper and leave it to simmer. Then add the vinegar. Slice 4 onions very thin and fry them in the oil till it turns to brown color and dry. 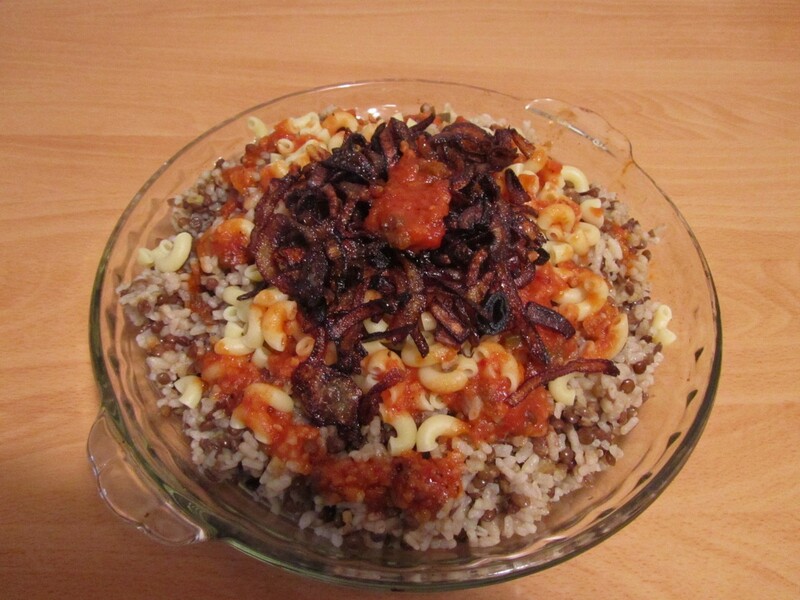 Get a platter, put the rice first layer then the macaroni then the salsa and on the top the fried onions. Preheat oven to 250 degrees F. Butter the pan. 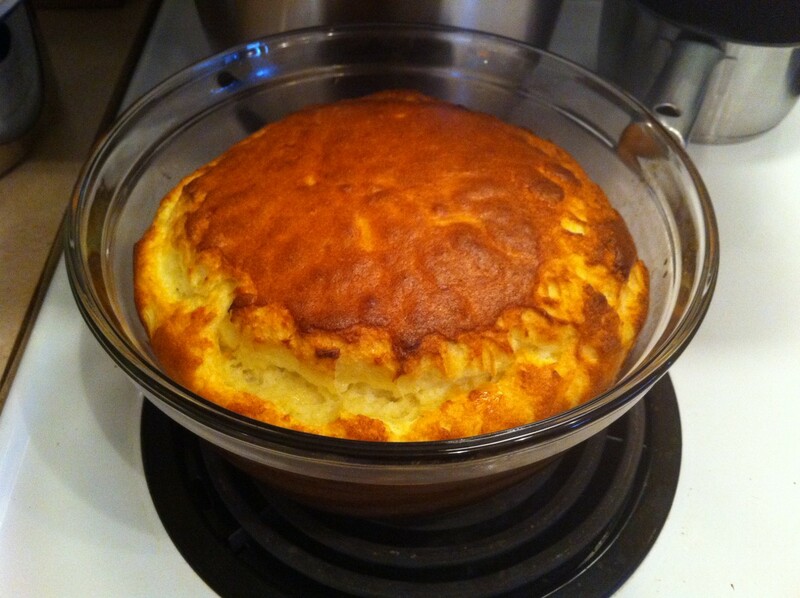 Heat butter in a saucepan, add flour and stir rapidly for 1 min. Add the warm milk, stirring with a whisk for a few minutes over low heat. Remove from heat. Separate the whites and beat strongly (with a pinch of salt). Cooled in the pan add the egg yolks one by one, then the cheese grated. Put a pinch of nutmeg and pepper. Add little salt because the cheese already contains salt. Stir in beaten eggs white, stirring gently. Pour into prepared pan, for up 4 cm from the edge.